Until now I've done all my blogging either sitting up in bed or at our dining table. 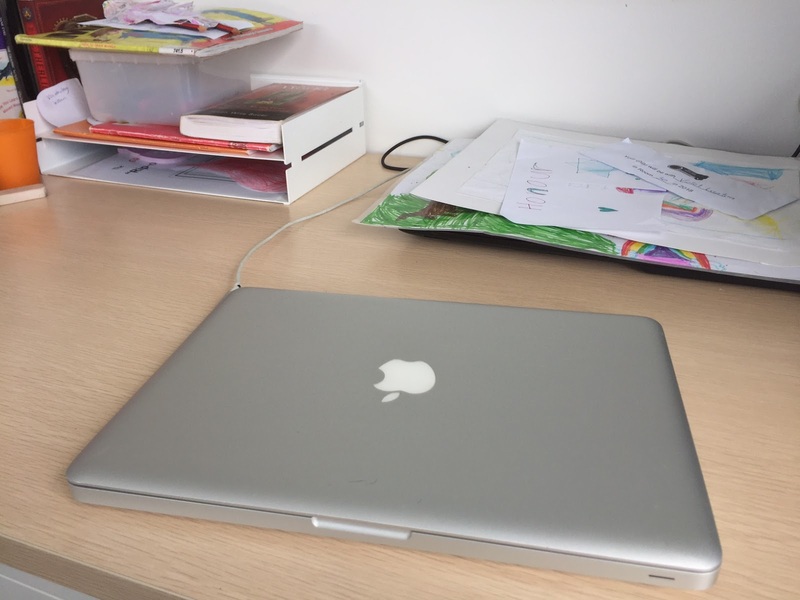 Today you're reading my first ever blog post from my own dedicated office space. Well, it's half my own, half L's, because I'm sharing it with her for homeschooling. 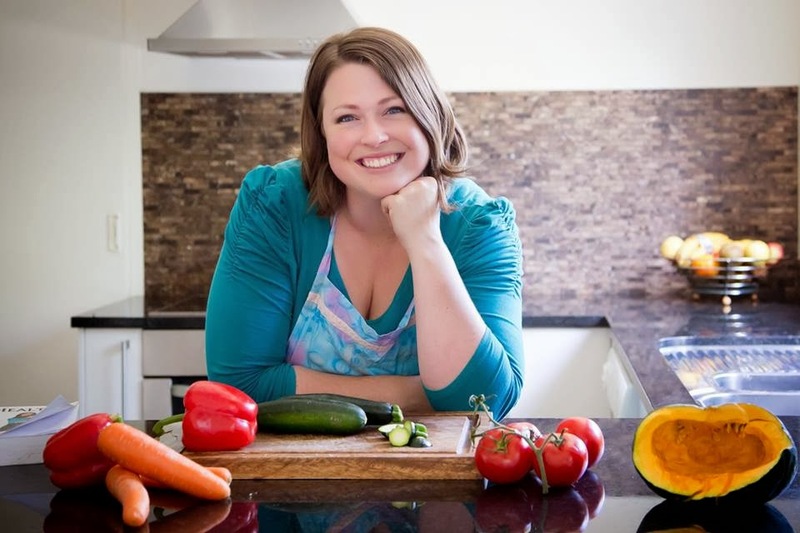 The beauty of homeschooling is that you can do it anywhere, but L was usually doing her bookwork at the dining room table. The problem then was that everything needed to be cleared off for mealtimes and there wasn't really anywhere in our small dining room to clear things off to. We do have an office in our garage, which Paul uses, but it's really too dark for doing bookwork in as it doesn't get any natural light. My one-day plan is to replace the garage door with a ranch slider so we do get natural light entering the room, but that involves leveling the floor first so it's not an easy switcheroo. Yesterday I had the opportunity to buy a desk, filing cabinet and file tray second hand, so I did. 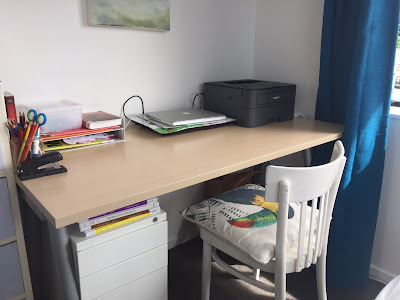 The desk was the perfect size to fit into the corner of my bedroom where I used to have a chair and sewing basket. The basket is now tucked under my new desk and the chair is what I'm using to sit at the table on. It's like it was meant to be. If L is working at the desk, she sits in the chair and I can sit on the end of my bed to help her. I've brought the printer up from the downstairs office so I can do all my homeschool planning right here and see exactly what's coming out of the printer. I used to have to trot up and down the stairs to the garage office when I needed to print something, and it was a pain if anything went wrong. 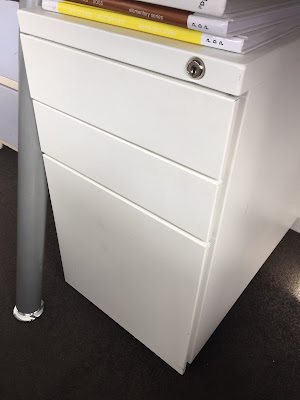 The filing cabinet I bought has two small drawers and one large drawer in it. It's white, so it goes perfectly with my bedroom colour scheme. 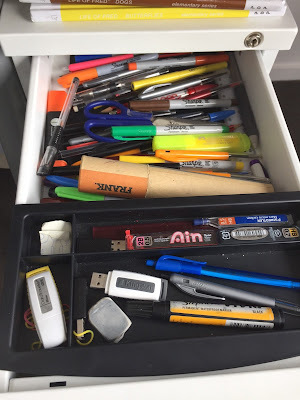 I'm using the top drawer for stationary items - pens, pencils, scissors, etc. 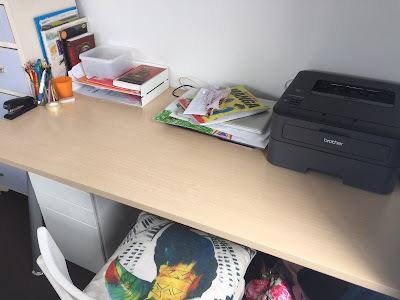 The middle drawer is where I've put photocopy paper for drawing on or for restocking the printer. The bottom drawer is where I'm keeping L's homeschool books when they're not in use. I bought the file tray so I could put L's tasks for the day in it on the desk. 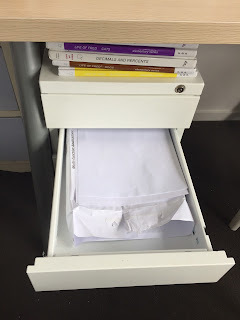 Once she's finished a task, she can put the books associated with that task in the bottom drawer of the filing cabinet. I like this system because it means she can physically see her workload decreasing as she gets through it. An empty file tray means she's finished her set work for the day. 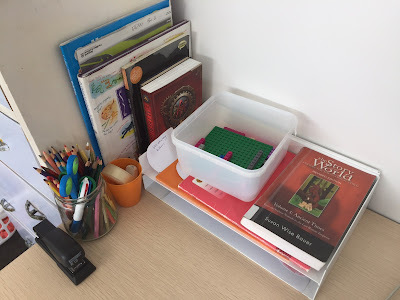 I watched a few YouTube videos of other homeschool set ups to get ideas for how to organise our school space. 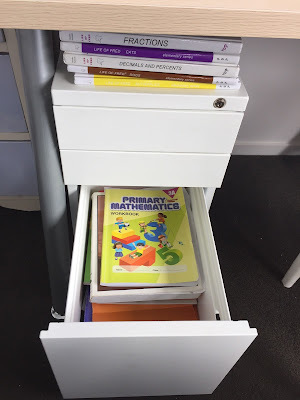 I'm also planning to get a bookshelf to keep homeschool books in so that I can rotate them in and out of our filing cabinet drawer as needed. I think it will be easier to keep track of what books we have if I can see the spines. 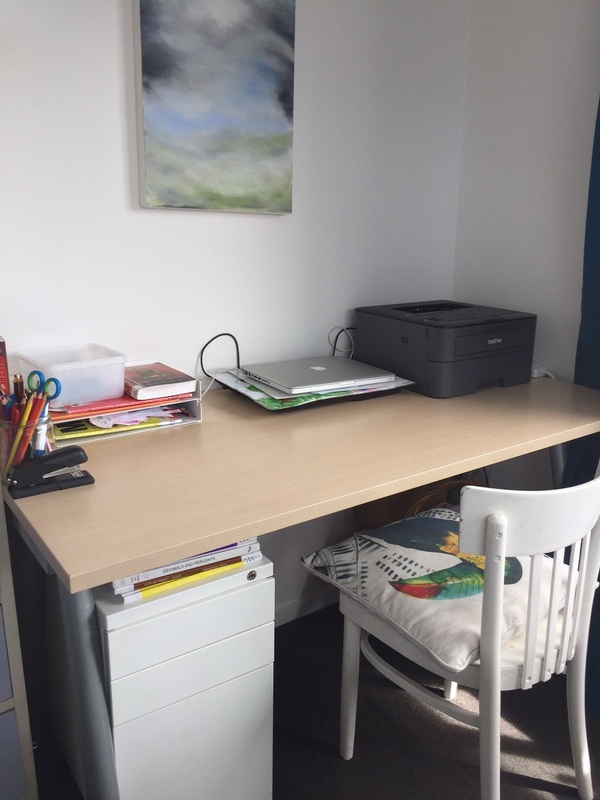 We actually had our last official day of homeschooling for the year today, so it's a bit of a shame that I only just got the office set up yesterday, but at least we'll be all ready to go in the New Year. And now the kids know this space is here and can use it for other crafty activities too. 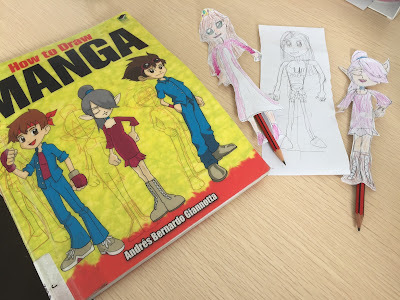 L spent a lot of today drawing Manga characters. I bought the above How to Draw Manga book from the library's 3 for $1 sale shelf yesterday and L found it. Every time I didn't set her with a specific homeschool task today, she gravitated to this book. You can see some of the characters she drew in the above photo. It's a good example of why homeschooling is working for L - she gets a lot more space to follow her own interests. I'll leave you with this shot of my laptop (the one that recently came back from the dead), since that's the main item I'll be using in my office, although I did wrap a Christmas present here this afternoon so, now that I think of it, this really is quite a multi-purpose space.